I was asked the other day “Why don’t you have any profanity in your videos?” That’s a good question. In fact, I do get asked that frequently and I like to respond with “It’s for the kids” (in order to not start a debate), but it’s actually more than that. So rather than explaining it to anyone who asks, I’ll just write something about it. That’s generally my most effective method of communication, anyway. So to start with the question “Why don’t you have any profanity in your videos”, I normally respond with the same question “Why should I?” Everyone I’ve ever asked has argued that adding swearing to a video will add realism and drama. I’ve heard that sad comeback so many times; it’s starting to become the dreadful part of the conversation. I think that this is not true at all. I mean, look at TV. I could name several dramatic/suspenseful shows, such as 24, Lost, Prison Break, etc. and these all portray drama and realism extremely well. I have never watched a scene on TV where someone was forced to use TV language (rather than something more vulgar), and responded with “That was so unrealistic. It would have been so much better if there was an F-bomb in it!” Never. Why? Because all that swearing equates to in film is a lazy excuse for an intensifier. I shouldn’t need to curse to get an audience. Now of course, some swearing is used humorously, but that’s not the topic at hand, though I don’t find that required either. So that’s why I don’t need to use swearing, but it’s not the end of my argument. It’s not only that it is unnecessary; I also find it negative. I don’t want it in my films. I myself am a Christian, and I’d like to create an environment for Christians where they won’t feel uncomfortable. To me, the fact that a single unnecessary word can turn away most other Christians from watching my films in the future makes me immediately choose my words carefully. I guess the real question is does swearing attract more viewers? In my experience, obviously I would have to say no. I’ve made a lot of content for kids, and I’m sure that my Nerf Socom audience would be half the size if we used foul language even once in the video. 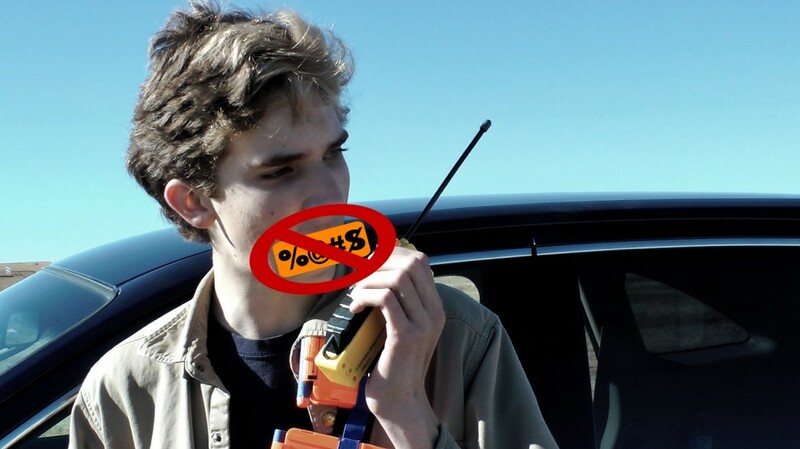 Nerf Socom has a couple of competitors that do swear, and my guess is that those who are turned off by their swearing would come and watch our videos. I know that can be debated, as these words don’t really equate to each other but you get my point. So why replace where TV would use “Crap” with an F-bomb? (I suppose the “S-word” would suffice as a better replacement) I really have no answer. I don’t understand why it is encouraged by some people and why others don’t think the same way I do. I mean, even if the difference was as low as 5% of viewers (and I’m sure it’s higher), would that not be enough to trigger a consideration? Another thing I should address is when people “censor” themselves on YouTube (with a generic 1000 Hz tone). That really annoys me. From how I see it, it’s a cheap attempt at what people think represents realism with an excuse that lets them call their material family friendly. In reality, you know what that character said. It doesn’t matter in the end because in the viewer’s heads, they replace that bleep with what was intended. And the cheap bleep gives it a cheesy reality TV show kind of feel (in my opinion, anyway). 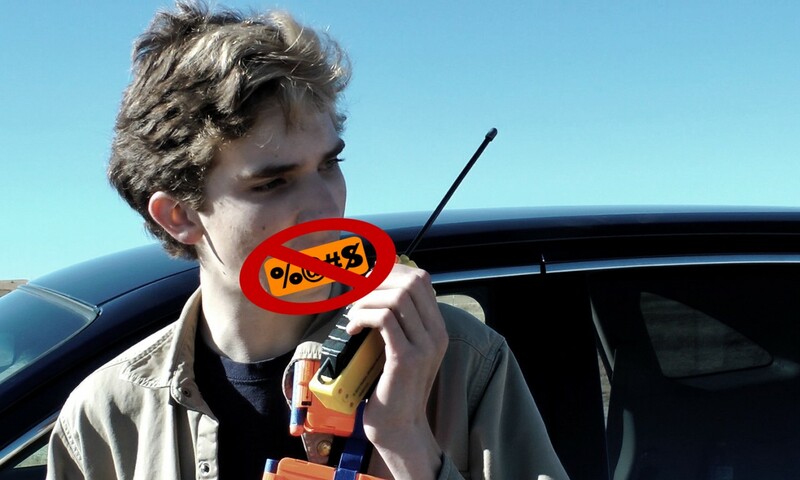 When movies are censored for TV viewing, they don’t put the obnoxious 1000 Hz beep over curse words. They silence them or modify them (add a ‘ri’ sound to the ‘F’ word). So if you’re going to limit your audience by adding cursing, just do it. Please don’t try to find a loophole. Otherwise, limit yourself to TV language and if you ever get a complaint about lack of realism, then it’s not because of the absence of curse words. Need I say more? I know people might bring up the topic about violence and such, but I’ll leave that for another day. So in conclusion, make a decision. It was easy for me. For the things I make for younger audiences, I don’t have any swearing at all. For everything else, I limit it to TV language. I don’t judge others who use language in their videos, but I thought it would be good to explain myself. And hey- if you have a counter argument for why it is good to use offensive language in a film (except comedy), then I’d love to hear it. Also, eat your veggies. Even those gross ones. your awsome and people should not say a word or s word. I love that you guys don’t swear in your videos. Also, its great to know that you guys are christians because im a christian myself. I hope that you can find a way to use this gift for the glory of God. I love that there is no swearing and I love how you are not afraid of your faith. I’m non theistic yet I totally agree with you. I’m rather old, but I still enjoy your films. Posted On February 11, 2014 in Fragments with 6 Comments.